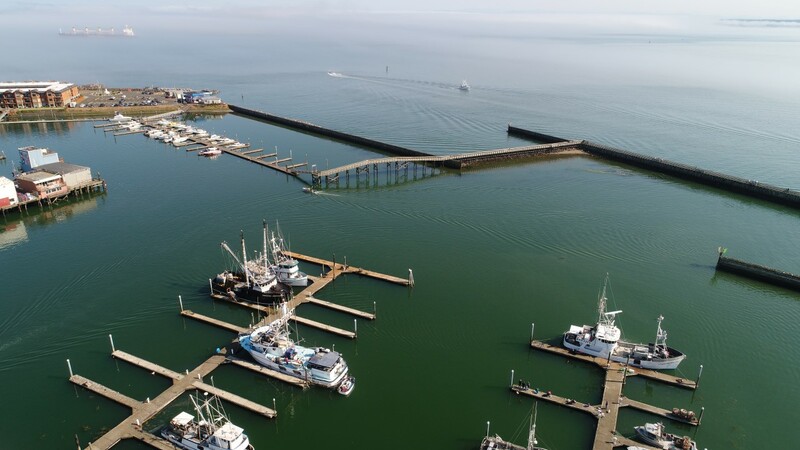 Located at the southern-most tip of the mouth of Grays Harbor, Westport was named in 1890 and incorporated in 1914. The peninsula is known as Point Chehalis. 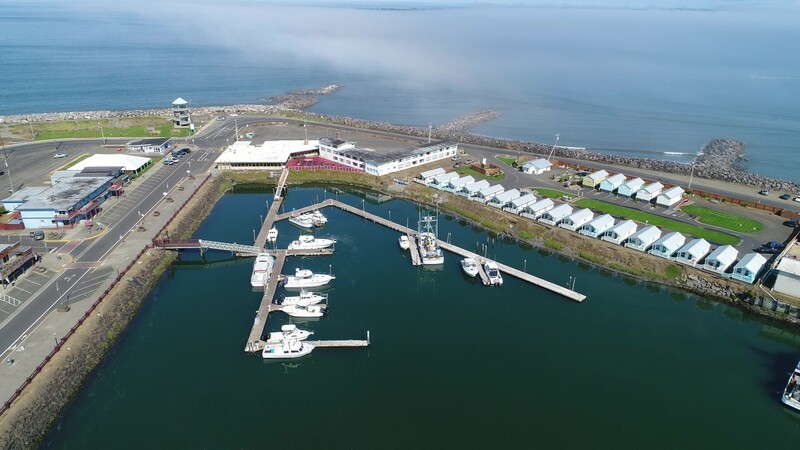 Westport Washington Marina District and marina. A view of the Marina District and marina. Today the town has a population of 2110 and relies on fishing, shellfish harvesting and seafood processing along with tourism for much of its livelihood. In recent years boat building has also become part of the town's economic base. It is a fishing village with charter boats, fresh seafood, shops and restaurants. 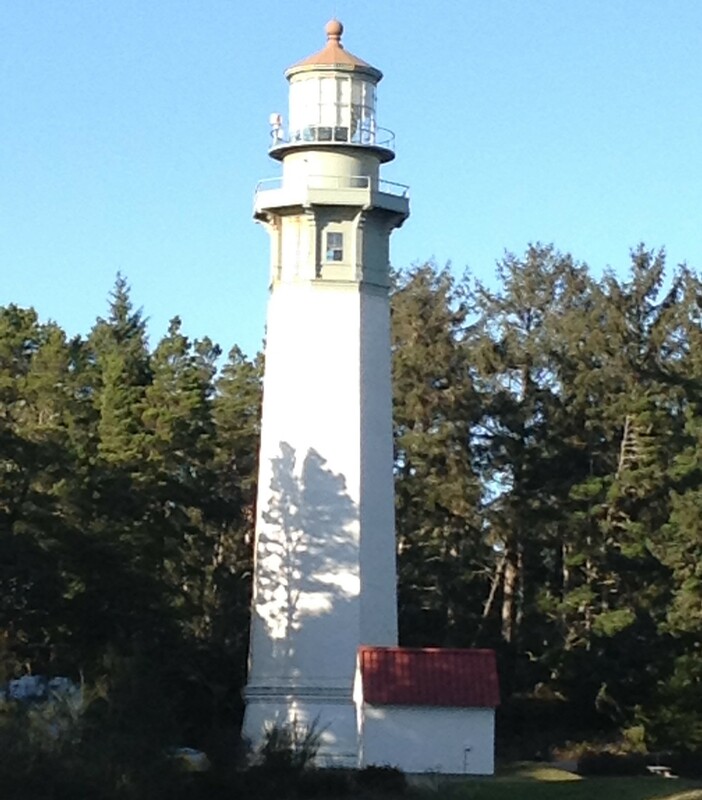 One of the earliest structures built in Westport is the Grays Harbor Lighthouse. Dedicated on April 14, 1898, it still stands among evergreen trees as a majestic beacon for mariners anxious to return home from the sea. At 107ft tall, it is the tallest lighthouse in Washington and the 3rd tallest on the West Coast. The Lighthouse is located at Point Chehalis, which is on the southern side of the entrance to Grays Harbor. The lighthouse is open for tours for a minimal fee, during certian times of the year. Check with the WestportMaritime Museum for available times and pricing. 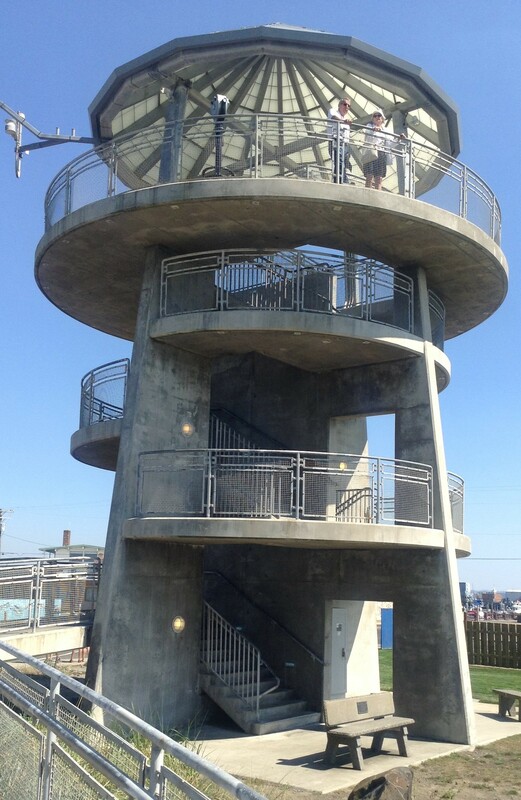 There is also an observation tower which has a 360 degree bird’s eye view of the Grays Harbor Beach area. To the north you can see Oceans Shores; while the South Jetty views Half Moon Bay. You may even see surfers, boats or ships while looking out the tower. Also you can see the docks with the charter boats and the main street of town. 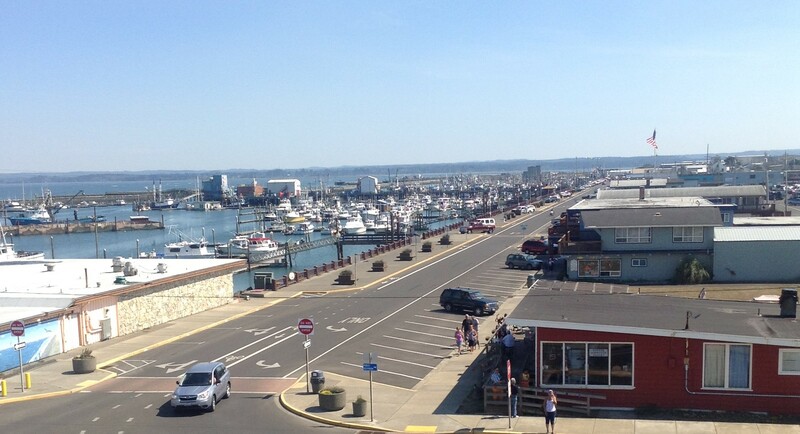 Another option is to take a walk on the Fisherman's wharf to see town in a different view. The marina on a quiet day. 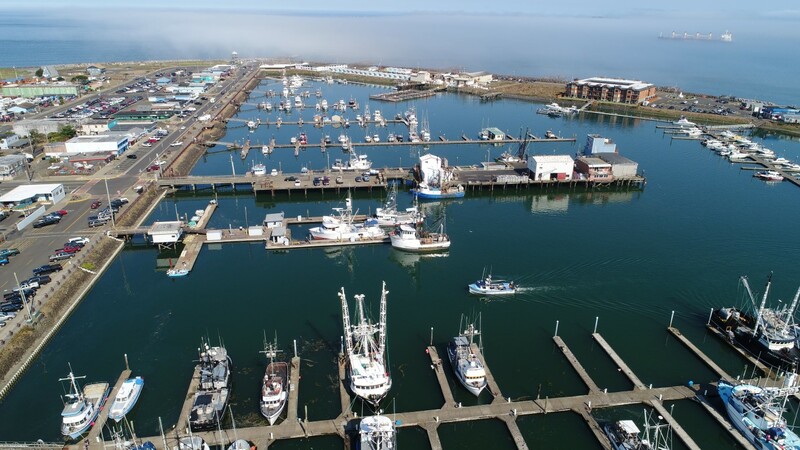 The town offers world-class charter boat deep sea fishing for salmon, halibut, cod and tuna fishing and boasts the largest charter boat fleet this side of San Francisco California. Native people had been living on Chehalis Point for many years before the first white settlers arrived. The population in their once thriving town had dropped drastically due to the introduction by early explorers of diseases such as smallpox, tuberculosis and alcohol usage. Spanish explorers were followed by Russian, English, French, and American fur traders. In May, 1792 Captain Robert Gray aboard the COLUMBIA discovered Bulfinch Harbor off the Pacific coast. Shortly after, Captain George Vancouver renamed it Grays Harbor. Over the next fifty years, several expeditions came through the area. The land was charted but not until the 1850’s was the area surveyed and opened to donation claims by settlers. In 1857 the first white settler, Thompson Speake moved his family from Oregon to the Point. They stayed only a few months and had not fulfilled the requirements of the donation claim when they turned it over to Glenn and Jane Peterson. They and their three year old son, Frank, were the only original settlers who lived out their lives on the Point. Patterson Luark moved his family to the Point, also in 1858. He kept a remarkable diary, which details his ten years at Chehalis Point. He brought many fruit trees along with cattle, etc., for a steady supply of food. Other families followed. A store and hotel were built. The first sternwheeler appeared on the harbor in 1859. The town was platted in 1860. The same year an Army camp was erected as a protection from uprising Indians but was dismantled after the Civil War erupted in the Southeast. Over the next few years, all but the Petersons had moved away. By the late 1870’s the area was discovered to be a potential recreational area and began its revival. Because another town to the east had claimed the name Chehalis, the Point took the name Peterson. Hotels were built, more land was platted, some of which along the ocean was named Cohassett. The harbor side was called Westport Beach. The town was officially named Westport in 1890 but was not incorporated until 1914. Lloyd Cook became its first mayor. A lifesaving Station opened in 1897; Grays Harbor Lighthouse began its service in 1898. The South Jetty was completed in 1902. These were the first projects to help ships move safely in and out of the harbor. Commercial fishing started in the 1920s. The town slowly grew until World War II at which time the US Army moved in to protect the coast. After the war, the cove was dredged, breakwaters were installed, charter fishing began, and more mooring facilities were built in the Marina. Fishing brought life to Westport but began a decline with the Boldt decision in 1972. Other recreational activities are now available and Westport is taking advantage of its unique Oceanside environment to attract visitors.